HomeNewsAttention Environmental and Health & Safety Graduates! 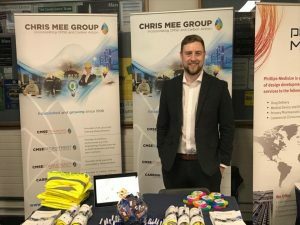 The team from CMSE Recruitment recently attended and exhibited at the 2019 IT Sligo Postgraduate Study and Job Fair. The CMSE Recruitment team were on the lookout for health and safety and environmental graduates who are interested in working in contract and permanent consultancy roles around the country and abroad. With over 20 years’ experience in recruiting & supplying EHS professionals across industries, CMSE Recruitment is an ideal partner for students at completing courses such as Bachelor of Science in Environmental Science and Bachelor of Science in Occupational Safety and Health at IT Sligo. If you were unable to attend the fair and would like to schedule a chat with the team at CMSE Recruitment please fill in the form below and we will be delighted to arrange a confidential chat.